"Wanning has mountains, sea and forests. The tourism resources are very rich. 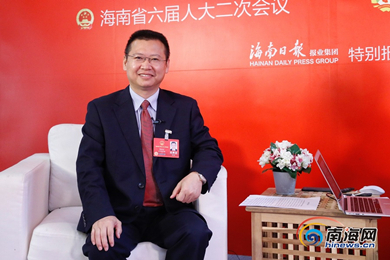 We want to give tourists the impression of ‘if you want to travel, first choice is Wanning,'" said Zhang Meiwen, secretary of the CPC Wanning Municipal Committee. on January 29, Zhang Meiwen had an interview with the reporter. He introduced the characteristic ecotourism project of Wanning. Zhang Meiwen introduced that Wanning had many tourist titles, one of them was the world's surfing resort. The Riyue Bay in Wanning had nearly 6 kilometers of bay area. The waves are high and long due to the monsoon from December to March of the following year, which is particularly suitable for surfing. Riyue Bay is highly recognized in the world better than other famous surfing places. Wanning has held its first surf competition since 2009 and it would host the second National Youth Games Surf Competition this year. Wanning would continue to improve the infrastructure of Riyue Bay surf resort, building a surfing town and let surfing become a popular sport among the people. In addition, Wanning would enhance the influence of its surfing brand. The International Olympic Committee has announced that surfing would be included in the 2020 Tokyo Olympic Games, which would be used by Wanning as an opportunity to promote its surfing brand and attract more tourists to experience it. Zhang Meiwen said, Wanning would make the good plans that not only integrated the city's rainforest national park planning into the province's planning but also to highlight the unique elements of Wanning. In terms of the protection, Wanning should strengthen the management and control, making ensure that there would be no illegal buildings, deforestation, soil and air pollution; protecting the ecological characteristics of tropical rain forest, keeping the biodiversity, the inheritance of rare animals and plants and the protection of seed resources. On this basis, Wanning would improve the infrastructure construction that aim at building the tourists destination and gradually building the rainforest national park with Wanning’s feature.